The death of any child is difficult to bear, let alone 20 precious, innocent young lives. Christmastime is one of the best times of year for most children. It’s exciting, it’s fun, it’s filled with family and tradition and joy. But this year, in Newtown, Connecticut, things are different. But the problems in our country are not isolated to Sandy Hook Elementary school and the families of the children who attend there. Families in Aurora, Colorado are suffering. Families in Oak Creek, Wisconsin are trying to move forward during this difficult season. Moms, dads and children in Littleton, Colorado still struggle with their past. The pain doesn’t go away with time. Not only should we not forget—we must not forget. In his blog on Saturday, Joel Rosenberg, author of many books including Epicenter, The Copper Scroll, and his new book, Damascus Countdown, spoke of the Demons of Violence that we have released on this nation by our own actions. Over the years, we have forced God out of schools, out of government, out of decision making as a country. Should we wonder why these violent, Godless outrages against our children and loved ones have occurred? Really? When we force God out, do we actually expect that void to be filled with something good? Soledad Obrien, a news anchor from CNN (with whom I frequently disagree), came out with the expected response from the liberal left. Her accusatory suggestion is that we should take handguns and all firearms away from American citizens. This is a hot topic—I understand that. It is not going to be resolved in this blog. There are many who disagree on this subject—many for whom I have a great deal of respect. But handguns are not the issue here—sin and people are. We have strayed so far from our origins as a nation, and from our convictions as a people that our perspective is out of focus. When a Godless nation (which we are fast approaching) begins to lose the peace, prosperity and freedom that God gave them, it is not surprising that its citizens look for reasons everywhere they can, except where they should. 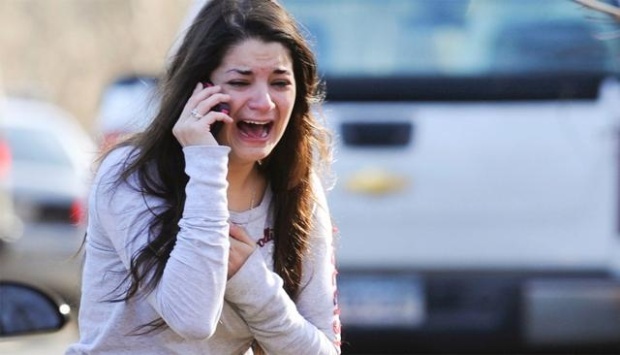 I honestly don’t know how the mothers, fathers, sisters and brothers in Newtown are dealing with this horrible tragedy. It is not their fault. It is not their children’s fault. But is it possible that our nation is the cause? Is it possible that turning our backs on God has consequences? We are legalizing the use of drugs, legalizing homosexual marriage, murdering babies by the millions, and making it a hate crime to preach against such subjects. It has become a source of comedy to mock God in society. And if that’s not bad enough, we have become the world’s epicenter of drug abuse. I agree that stricter gun control is needed in America. But perhaps we need to consider our deviation from God as a society as a cause, instead of blaming this nightmare on the gun in the hand of a murderer. Watching the President wipe away a tear while he tells America to hand over its guns doesn’t help a thing. It is not the solution. How dare we behave as if our actions against God have no bearing, and gun control does. He didn’t tell us that we needed to get rid of our weapons and all would be well. He wants to see the change in our hearts. God is incredibly merciful. All we have to do, is do it—before it’s too late. Comment: I would love to hear from you even if you disagree.